Get legal advice and help relating to Pittsburgh Legionnaire's Disease illnesses and deaths at no cost to you or your family. It is important to act now because specific statutes of limitation apply to these cases. Hospital errors that lead to infections or disease can be very problematic for patients. Patients in hospitals are often very vulnerable to infection and disease simply because they are already ill or injured. There are many patients who have surgical wounds or open areas that allow for bacteria to enter the patient. This bacteria can lead to incredibly high pain, permanent injury or often death. If you or a loved one has been infected by Legionella bacteria, you need to find experienced medical malpractice attorneys to fight for your case. It does not benefit doctors or hospitals to admit wrongdoing, so you must find attorneys who can fight for you or your family. The Pittsburgh medical malpractice attorneys at Berger & Lagnese have been fighting hospitals for years, and want to provide you and your family a sense of security knowing they are handling your claim. Contact our offices today to schedule your free consultation so we can evaluate your claim. Legionnaire's Disease is caused by inhaling water vapor or mist containing Legionella bacteria – often in showers or hot tubs. Thousands of Americans a year contract Legionnaires Disease, and a small number of people die from it – usually individuals who are already in ill health. Some of the most common sources of Legionnaires Disease are water systems in hotels or hospitals. Most such facilities have water treatment equipment to kill Legionella bacteria.In January 2013, the Pittsburgh VA told CBS New that it had diagnosed 29 cases of Legionnaires' disease at its hospital over the past two years. It acknowledged that five of those patients had caught the disease at their facility, eight had caught the disease elsewhere in the community, and that 16 others caught the disease from an "undetermined" location. Yet the Pittsburgh VA called a consultant as far back as 2011 to look into its legionella problem. The company, Liquitech, told CBS News that in December of 2011, Pittsburgh VA officials informed Liquitech it had the deadly bacteria in its water system. After an inspection, Liquitech noted in an e-mail, quote "they have legionella" and "systems not being properly maintained. Four months later, the Pittsburgh VA called in Enrich, Inc., a second legionella prevention company. 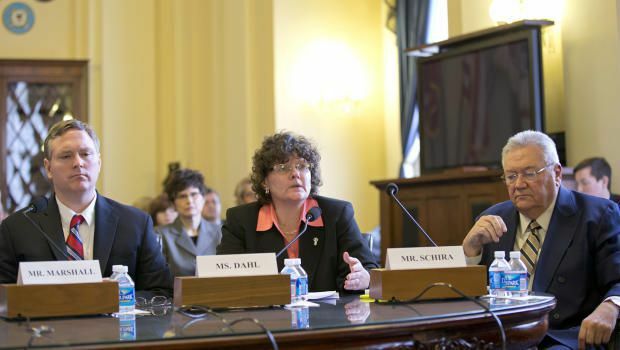 On February 5, 2013 the Congressional House Veterans’ Affairs Committee held a hearing on the recent outbreak of Legionnaires’ Disease at the VA’s Pittsburgh facilities. The hearing was held in Washington DC. The Center for Disease Control has conducted its own investigation into the matter, and presented its report to the Committee; the report has not at this writing been made public. CBS News reports that it has obtained the CDC's findings. It has reported that according to the CDC, the Pittsburgh VA hospital's laboratory did not follow protocol in notifying the hospital's infection prevention team when patients tested positive for Legionella bacteria. The CDC also found that the VA hospital's infection prevention team did not typically contact the providers with the results. It also found that Legionella cultures were not done on the urine samples of 16 patients, which experts say would make it difficult to ascertain whether or not the infection was hospital-acquired. "The CDC report underscores the need to have appropriate reporting requirements to keep people safe and informed," Pennsylvania Sen. Bob Casey said in a press release. The CDC investigation found that five patients died within 30 days of a positive diagnostic test for Legionnaires' disease, but that only one death was "definitely" linked to the hospital, and that four other deaths "probably" were hospital-acquired. If you or one of your family or friends has questions about this outbreak and whether or not you can be compensated for your illness, injury or death, we at Berger & Lagnese invite you to consult with us as soon as you can, and at no cost whatsoever. We are compassionate, successful and experienced trial lawyers,and we handle these sorts of cases throughout Pennsylvania. Legionnaires Disease can have a devastating impact on you or a loved one. It has often lead to permanent injury or death, and you need to ensure that you do your best to get compensated for these injuries. The Pittsburgh medical malpractice lawyers at Berger & Lagnese have been handling hospital error claims for years. We pride ourselves on providing excellent representation for our clients, and we will fight for you at every possible turn. If you have suffered legionnaires disease at a local Pittsburgh area hospital like UPMC Presbyterian Hospital or Jefferson Hospital, you should contact our offices to schedule your free consultation. Our office is located at 310 Grant St #720, Pittsburgh, PA 15219 and consultations can be scheduled either online here or over the phone at (412) 275-4122.